Turquoise Waters At The Foot Of A Cliff In The Calanque De Morgiou, On The Mediterranean Shore Near Marseille In The South Of France, With A Catamaran Mooring In The Distance On A Sunny Spring Day. Фотография, картинки, изображения и сток-фотография без роялти. Image 115774171. 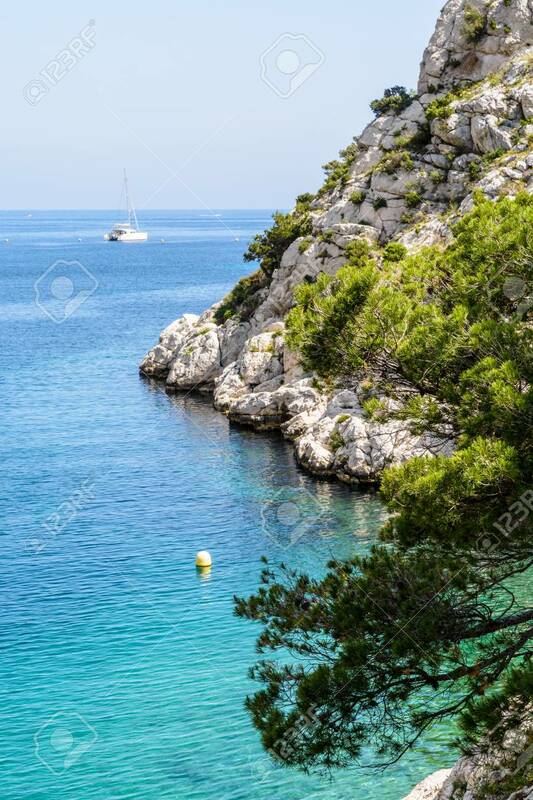 Фото со стока - Turquoise waters at the foot of a cliff in the calanque de Morgiou, on the mediterranean shore near Marseille in the south of France, with a catamaran mooring in the distance on a sunny spring day. Turquoise waters at the foot of a cliff in the calanque de Morgiou, on the mediterranean shore near Marseille in the south of France, with a catamaran mooring in the distance on a sunny spring day.